Precious, originally known as Push, was screened at Cannes International Film Festival this week, received with standing ovations. The movie is based on the 1996 novel “Push” by Sapphire (Ramona Lofton), featuring the story of Precious Jones, a teenage girl living in Harlem. Gabourey Sidibe plays Precious, a young illiterate woman who struggles with obesity, and is pregnant with the second child to her own father. Her mother, played by Mo’Nique, keeps her imprisoned both emotionally and physically. Precious is determined to break through her limitations, and enlists the help of her teacher (Paula Patton), social worker (Mariah Carey) and nurse (Lenny Kravitz). The film premiered in January 2009 at the Sundance Film Festival, where it won the Audience Award and the Grand Jury Prize for best drama, as well as a Special Jury Prize for supporting actress Mo’Nique. The movie’s title was changed from Push to Precious February 2009 to avoid confusion with the 2009 action film, Push. 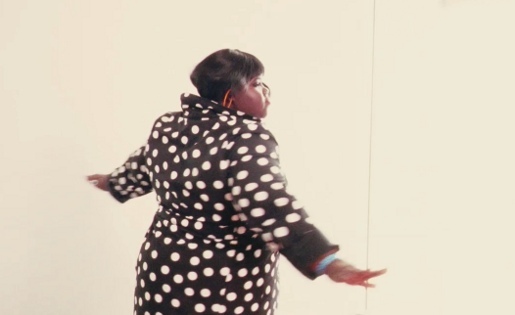 Precious is expected to be released nationwide in the United States on November 6, 2009. Filming was shot by director/producer Lee Daniels via Lee Daniels Entertainment and Smokewood Entertainment Group, with screenwriter Damien Paul, executive producers Lisa Cortes and Tom Heller, producers Sarah Siegel-Magness and Gary Magness, co-producer Mark G. Mathis, associate producer Asger Hussain, cinematographer Andrew Dunn, and editor Joe Klotz. Original music was composed by Mario Grigorov. The theme song for the film, titled “Push,” was written and produced by Robin Thicke.